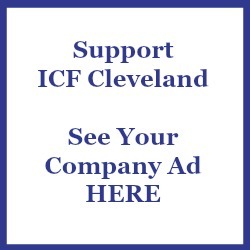 Be the first to Advertise on ICF-Cleveland Homepage! 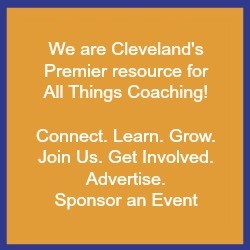 Companies, coach training schools, businesses offering products to professional coaches, and coaches themselves, can all benefit from advertising on the ICF-Cleveland home page. 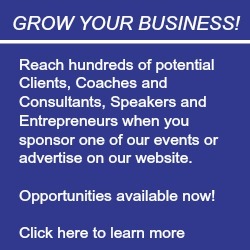 Your ad will appear in front of thousands of annual visitors who are involved in the coaching industry. Act now! Advertising opportunities are on a first-come, first serve basis. Your company logo or ad on ICF-Cleveland website with hyperlink to your site. Artwork and content must be approved and payment received prior to posting your ad. Ads are subject to the approval of the ICF Cleveland Board. The same artwork will appear for all months. Changes or new artwork submitted within the middle of an ad cycle will incur an additional charge of $40.00. Advertisements will be placed in the order in which they are received, and may be rotated periodically. We cannot guarantee the exact placement of any ad. Ads generally run from the first of the month to the end of the month. If you would like to extend your ad for another 6 or 12 months, please notify ICF Cleveland one month before the last day of your ad. All revenue benefits the ICF-Cleveland's non-profit mission to advance the art & science of coaching. Submitted ads should be 250 x 250 pixels, but actual ad size may be reduced as space requires. For more information contact: Pam Smith or bring the Ad Form with artwork and check to the next monthly meeting.